ADAM WEST 1960'S T.V. HERO MODEL KIT! Very rare resin model kit of ADAM WEST as the well known Super hero from the 60's Batman TV Show, stands approx. 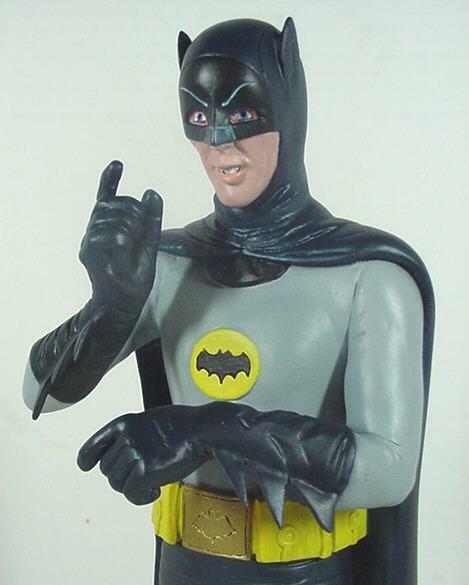 13" tall, made of solid resin, great likness of Adam West. This kit was re-sculpted, along with the chest emblem and belt.